A family tradition? An important cause? A desire to leave a legacy? If that is the case, we can help. We are a vibrant nonprofit grantmaking foundation with a powerfully simple mission of building a better community through donor-driven philanthropy. 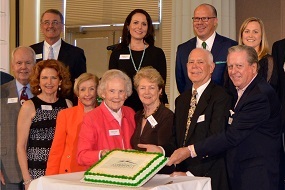 Current and Past Board celebrate 10 years of Better Giving. 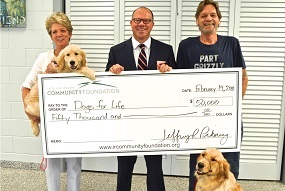 The Alma Lee Loy Legacy Society of the Indian River Community Foundation was established in February 2011 to honor donors who utilize the services of the Community Foundation to administer a portion or their entire philanthropic legacy plans. Helping bring digital technology, education and coaching that will increase online donations and improve each organizations capacity to raise more unrestricted dollars in support of their charitable missions. A family tradition? An important cause? A desire to leave a legacy? Whatever inspires you to give, we can help. Make a credit card donation to the Community Foundation or to a fund. Give online today. 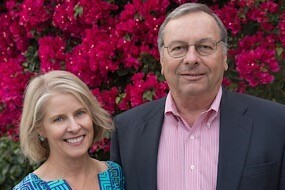 ‎Organize your giving and create a charitable legacy. 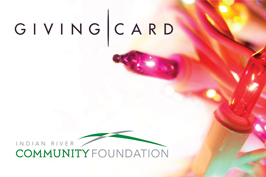 Purchase or redeem Charity Giving Cards to benefit local nonprofits. Read the latest news and insights about our work and community.